My parents were supposed to come up last weekend, but the sickies took over our house. Instead, they came up on Thursday night & were able to watch Grayson while we had our BIG ultrasound on Friday morning! Our appointment was at 9:30 and I made it a point not to drink my coffee that morning. (I know I shouldn't drink any caffeine, BUT, when G wakes up at the crack of dawn...I can't function without it.) I just knew that after my doctor told me this was an active baby last week that coffee would make him/her go crazy! Well, we got into the room and seriously within 10 seconds she said..."want to know what you're having?!" duh. Sweet baby BOY proudly displayed exactly what we needed to see! We immediately headed over to my favorite baby store at The Factory and picked up something sweet to let G & my parents know what Baby Dos is. We came home with this.. Nothing sweeter than a teeny baby gown! Okay, let's be real. It's not teeny, it's 0-3 months...this mama doesn't make teeny babies! The more I think about having 2 boys so close in age, the more excited I get. Bunk beds, sports, trains, trucks, getting dirty, broken bones...ha!! 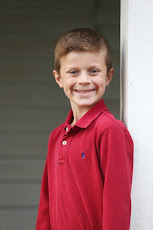 Grayson is getting a built in best friend! 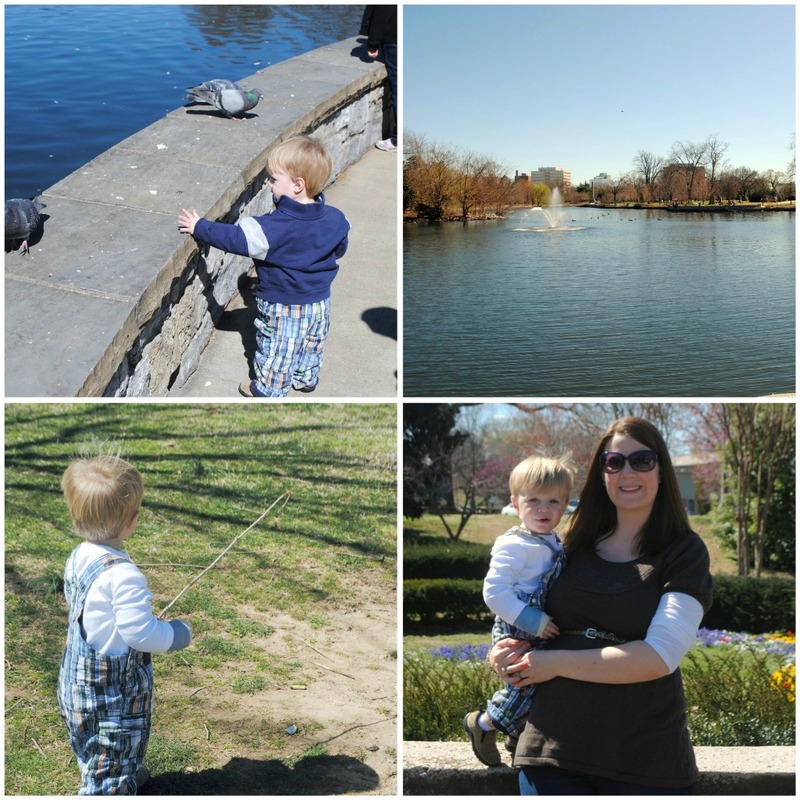 We spent Saturday at Centennial Park in Nashville. I'm not sure why I have never been down there...it was so nice! We had a picnic & just roamed the grounds. It was a beautiful day! The cast hasn't slowed G down at all. He had a great time running around, looking at the train, throwing his ball, and finding sticks. He is ALL boy! We went out to eat on Saturday night to a little place in downtown Franklin. 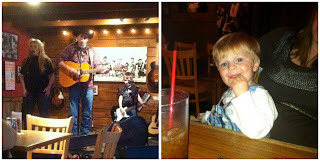 They had the cutest family band playing country music..including the little boy! His microphone & guitars weren't plugged in but he was rocking out. It was so cute! It kept G entertained for a little bit...which is no easy task at a restaurant these days. We had a great time with Nana & Poppy! Totally forgot about Centennial too. That's a must on the next sunny weekend! Hope G is feeling better SOON! And sleeping better! How fun! That restaurant looks cute. We ran at Centennial Park last time we were there (I ran the loop a million times) and the geese were EVERYWHERE! Such a beautiful place! I'm so jealous you live there! What a fun weekend! Glad you were able to get out and enjoy the weather! How fun!!! :-) Love that sweet little gown!!! I think it's so great that g is getting a brother! They are going to be so cute together!! !